Beavercreek, OH, is the Dayton suburb you want to live in for its spacious lots with plenty of room for outdoor living spaces and structures. 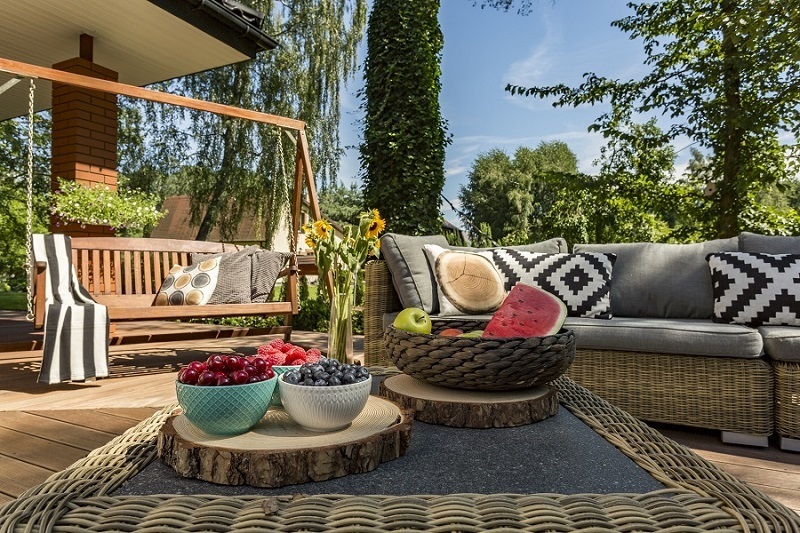 While we consider a deck to be a structure, and a patio is also a structure, when you put them together we call it a Beavercreek combination outdoor living space. You need that! 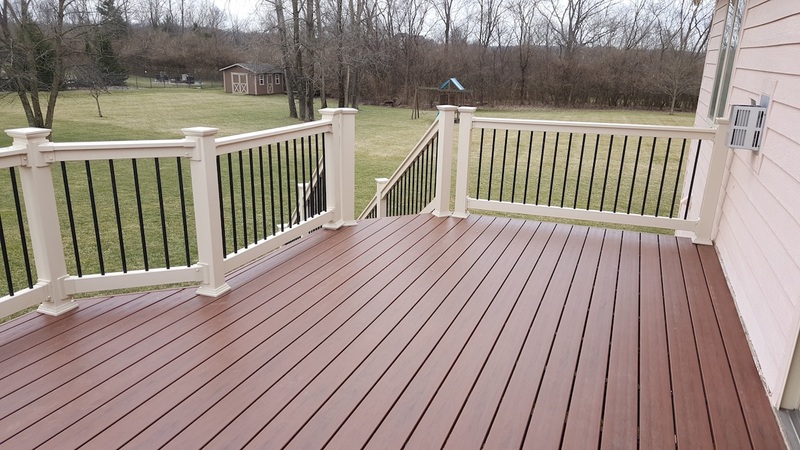 Archadeck of West Central & Southwest Ohio has been designing and building decks in the Beavercreek, Dayton, and Cincinnati areas since 1990. Yes, that’s almost 30 years of great decks. We’re enriching the quality of life for a second generation of busy Beavercreek homeowners. While you may not stop and think about the ways a deck adds to your family’s quality of life, we’re just glad you’re enjoying your deck. Now, whether it’s time to replace your aging deck, or you’re considering a deck for the first time, we can help you weigh today’s options for deck materials. A lot has changed in 29 years. The technology for manufacturing low-maintenance “wood alternatives” for decking has greatly improved since these products were first introduced. Today’s composite decks look more and more like wood with the texture and color variations of natural wood grain. TimberTech and Armadillo are two of the low-maintenance composite decking brands our clients prefer for durability, longevity, and colorfastness. 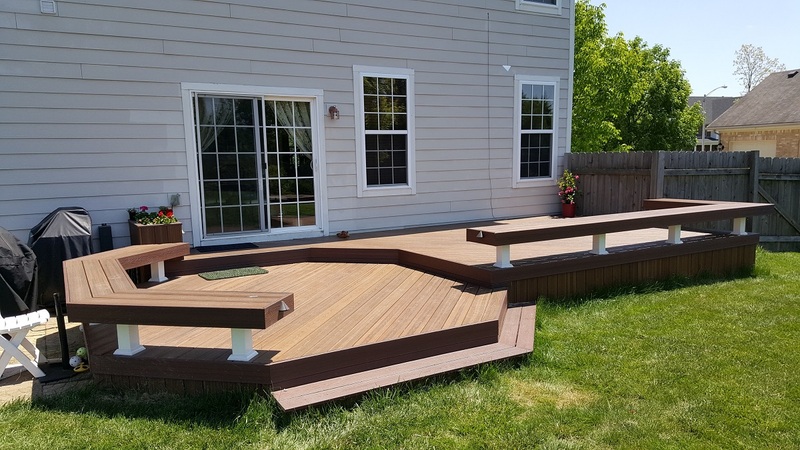 If you’re interested in a low-maintenance deck, give us a call to talk about the options that will best meet your needs. On the other hand, if you are a die-hard fan of natural wood decks, we are the wood deck experts in the area. We design and build plenty of decks with wood, and we’ll never pressure you to choose low maintenance decking materials. If you’re undecided, we’ll help you weigh the pros and cons of each and find the right material for your new deck. And don’t forget about railings! Every year we see amazing new designs for railing systems. We’re eager to show them to you. In a spacious suburban yard you have room for a larger patio perfect for entertaining, cooking outdoors, and dining outdoors. 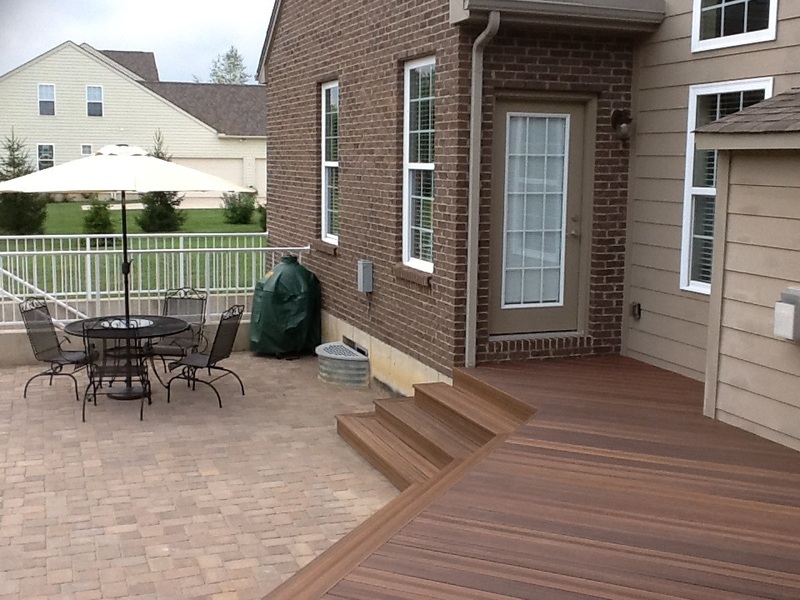 Archadeck of West Central & Southwest Ohio is your go-to patio designer and builder in Beavercreek. You may not think a patio needs to be designed, but it does! How else will the ideas you have in mind for your outdoor space translate into a usable, livable patio in your yard? Your Archadeck patio designer will listen to your ideas for your dream patio and make suggestions based on our years of experience as a patio builder. We’ll go over the options for patio materials if you’re undecided or looking for ideas. No one patio surface is better than another; your choice is driven by what material most appeals to you. The look and feel of natural stone, the uniformity and versatility of pavers, the colors and designs for stain-and-stamp concrete – what speaks to you? Regardless of your preference, know that we will custom design a patio specifically for your home. Each of our outdoor living spaces is custom made for one client. Why choose between a deck and a patio when you have room for both? Each has a different vibe. You may prefer one for entertaining outdoors and the other for relaxing at home. They work well together, too. When we design your outdoor space with a deck, patio, and maybe an outdoor kitchen, we call this a deluxe or combination outdoor living space. Combination spaces provide more versatility and are more functional all around. Somehow the combination adds up to more than the sum of its parts. We have seen this to be true many times over. If you mix “quality of life” with “nighttime outdoor living” in Beavercreek, what you get is an outdoor fireplace or fire pit. Either can be incredibly satisfying, bringing a sense of peace and contentment to family and friends enjoying your deck or patio at night. In the daytime, you may opt for a Natural Light patio cover to add the comfort of shade to your patio or deck. Once you have one, you can hang a ceiling fan, too. 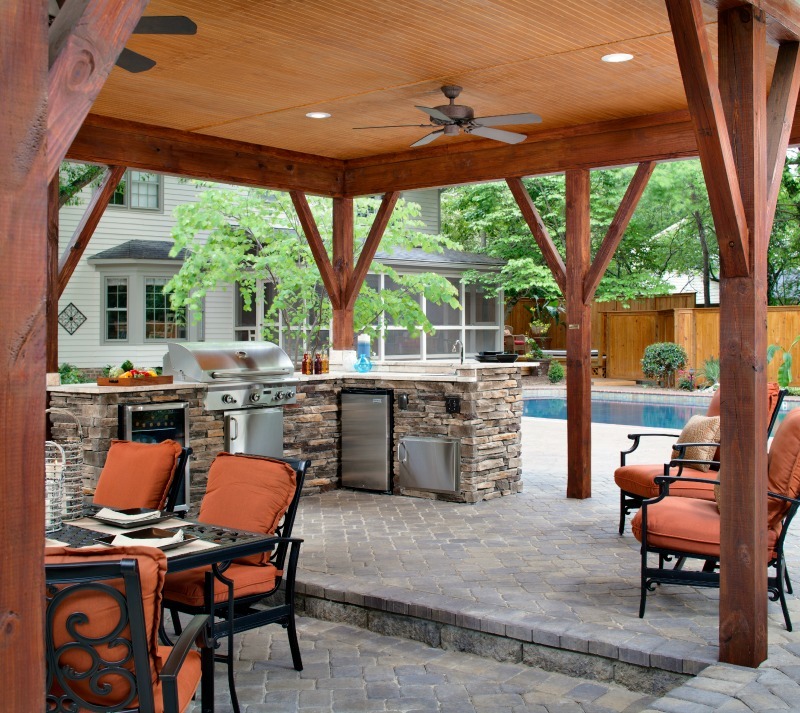 In some cases, however, a pergola may not offer the amount of shade you’re looking for. We can design a covered pergola for you or one with a louvered roof. 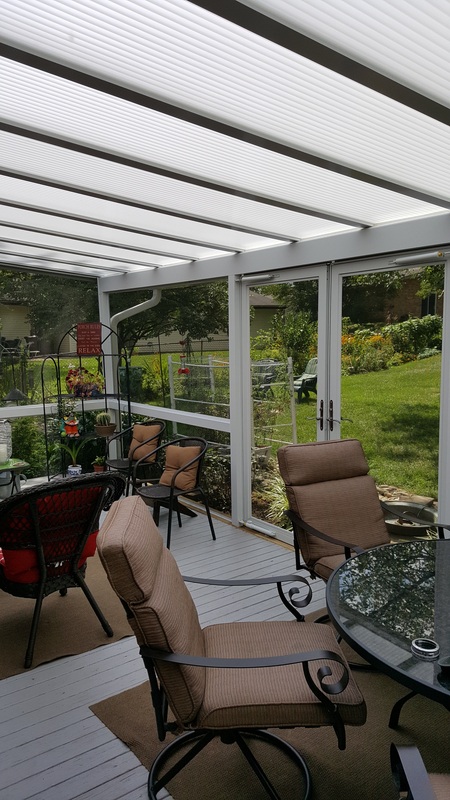 When you need shade outdoors, Archadeck of West Central & Southwest Ohio is your source for shade solutions. 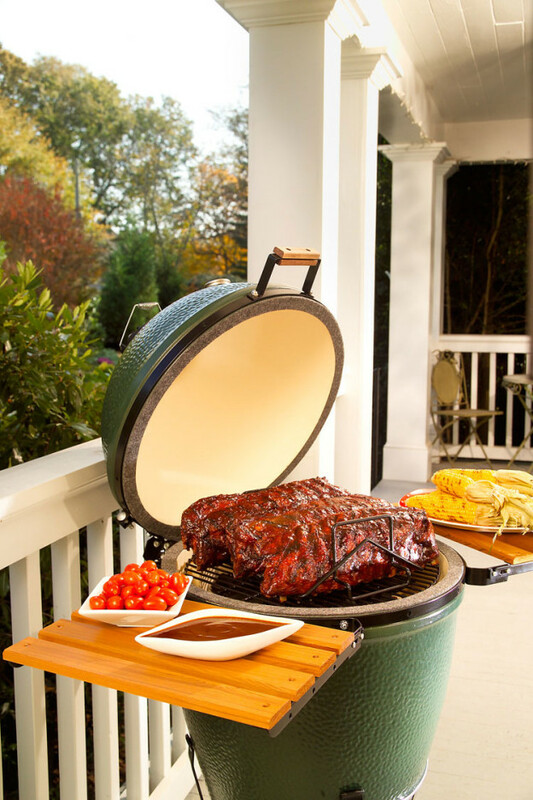 — We are your local Big Green Egg dealer! Day or night, an outdoor kitchen can give you the ultimate outdoor living experience. If you have a refrigerator and a grill or Big Green Egg smoker in your outdoor kitchen design, life is good! Anything else is gravy. We’ll never know who invented the screened porch, but we do know who enjoys them – anyone looking to escape pesky insects that “bug” us outdoors, especially after dark. 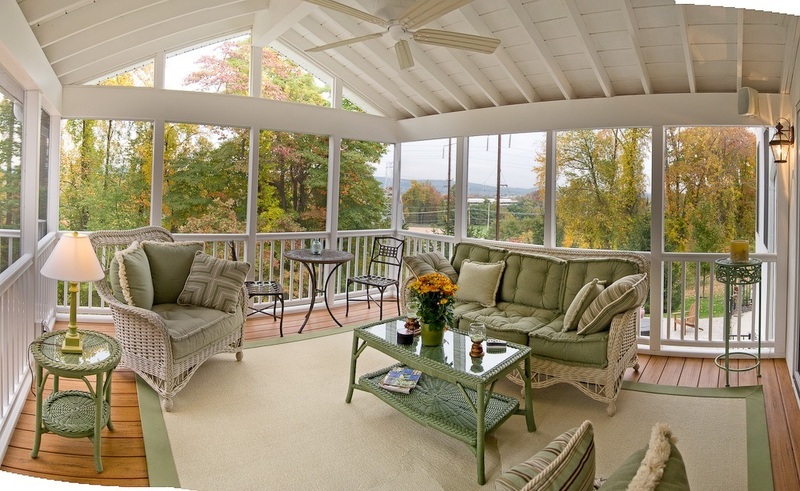 Taking the screened porch to the next level, have you considered a three-season room? We use the Eze-Breeze convertible enclosure system to create a versatile 3-season outdoor room for your pleasure. On any given day, you can select to close the windows or open the room up to a breeze with screens. In the cooler months, close the windows and add a portable or infrared heater to stay warm and cozy. Have you considered the benefits of adding a deck, patio, or combination outdoor living space to your Beavercreek home? Let Archadeck of West Central & Southwest Ohio custom design and build the outdoor structures you need to elevate your quality of life. You can reach us at (937) 848 – 7040 or (513) 897 – 2040, or via email at [email protected].